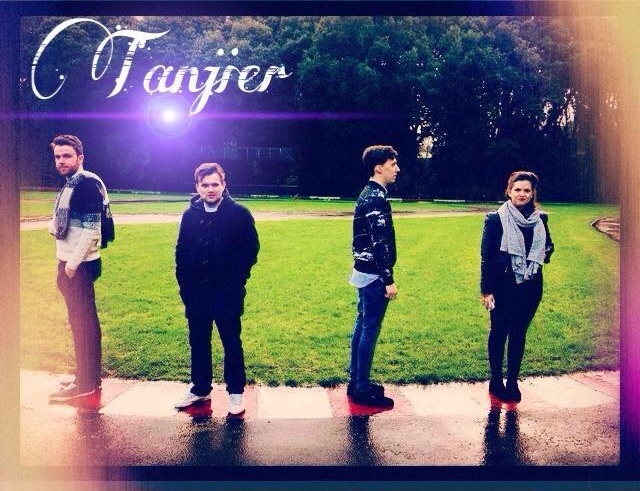 This week’s Irish Band of the Week are Dublin based Tanjier, a dream-pop/indie four-piece. Although the band are based in the capital, its members hail from all over the country, including Mayo, Cork, and Donegal. The band have had a truly exciting year so far, performing on both the Cosby and Oxjam stages off Electric Picnic, as well as at a variety of venues, including the Workman’s Club, the Mercantile, and Whelan’s. A momentous haul of performances to say the least, their history since their formation reads like the classic foundations for any passionate Irish band. Yet, what makes them truly impressive is that Tanjier have only been performing together for little over a year. They’ve quickly garnered a substantial fanbase in the space of the year and have emerged as one of the most hotly tipped acts to appear on this little, green isle this year, having won their slot at Electric Picnic, having beaten over 400 entries to attain one of the most coveted musical prizes, RTÉ 2FM and Oxfam’s Play the Picnic Competition. So what makes Tanjier such an attractive listen? What allows them to draw in such a steadfast fanbase in such a brief time? It’s the essence of their sound, it’s so dark and alluring, haunting and rife with meaning, drawing a vast array of influences, ranging from Bon Iver, Bob Dylan, Florence and the Machine, and Jack Garratt – the single strand connecting them all being their deeply emotional, wildly passionate music that isn’t as focused on the bells and whistles as it is on the intricacies of their songwriting. Tanjier released their debut EP, Sunrise, to critical acclaim in the summer. Their tracks reflect a wonderful harmony between synth, indie-rock, and electrified pop, resulting in a sound that feels both modern and yet has all the elegance and grace of a bygone era. The title track, ‘Sunrise’, is particularly brilliant – the vocals are sheer and raw, alive with feeling and emotion, it’s the kind of song that one would attribute to a band that had been on the circuit for quite some time, further emphasising the group’s brilliance and talent. Moody and sublime, it’s a beautiful and intriguing listen.